If you feel like sourcing candidates has become much harder throughout the years, you’re not alone. Today’s low unemployment rate has forced recruiters to amplify their sourcing strategy to compete for top talent. In order to become the best modern talent broker you need to establish best practices that will help you gather the right information you need in order to target the right hire. 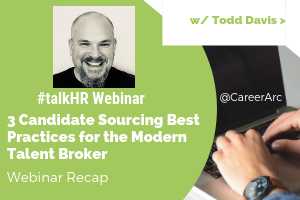 Recruiting and sourcing professionals tuned into part 1 of our “Sourcing Secrets 201: Powerful Techniques for Targeting Talent” webinar hosted by Todd David (@thecandidategen), Senior Sourcer at Indeed, to discover techniques to optimize their recruiting and sourcing strategies. 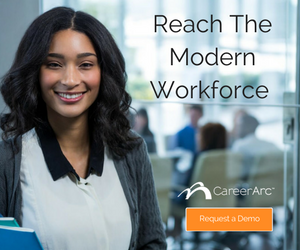 To help recap this latest CareerArc #talkHR webinar, we’ve highlighted three ways to help you source top talent. The amount of data produced every day has rapidly increased throughout the years. There are over 3 billion people using the internet today, which grew 7.5 percent since 2016. 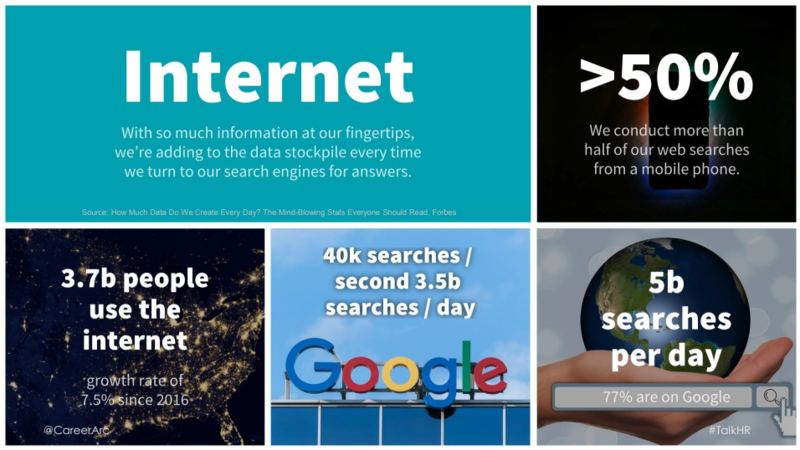 There are 5 billion searches being done each day. Twitter takes the lead with 456,000 tweets sent every minute of the day. YouTube users watch over 4 million videos every minute of the day. We are adding more information to the data stockpile with each new tweet, news article, and shared cat video. There is no denying web and social media platforms have influenced our daily lives, but for talent sourcers, gathering and sifting through the information has become more challenging. When sourcing candidates, as with any type of search activity performed online, your results will depend on whether you know where to look, what to look for, and the tools you use to look for it. The key to effectively sorting through all this data starts with an organized and methodological sourcing strategy. The success of any sourcing endeavor is often determined before you kick off your talent search. Sourcing requires much more than a simple search and email outreach. With so many tools and web platforms to source talent it can become overwhelming to find the right tactics that will give you the most return. 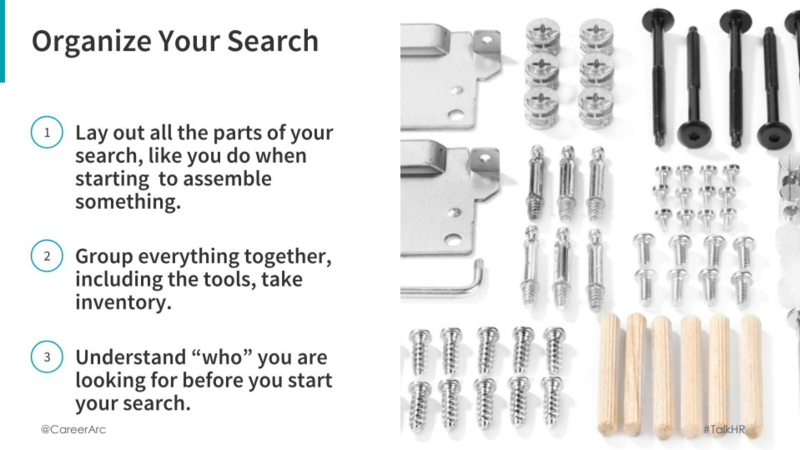 Organize your parts – this includes organizing your sourcing tools or anything that fits within your search. Group your tools – organize similar tools together. Understand “who” you are looking for – who is your ideal candidate. Developing talent personas have become a growing trend within the recruitment process. 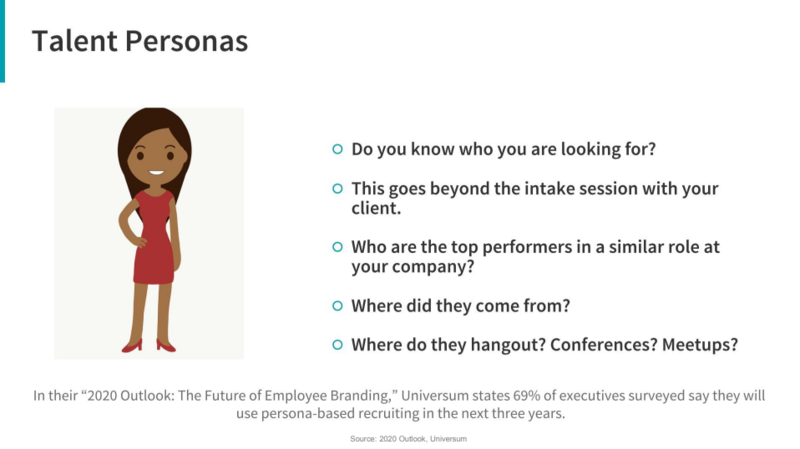 Talent personas refer to the representation of your ideal candidate for an open role, and here the persona is built from current data on top performers. Take inventory of the attributes, behaviors, origins, and even events your top employees frequent so you can build a more concrete and compelling talent persona on which you and your client agree. This helps ensure you’re looking for the best candidates in the right places and crafting the type of messaging that will speak to those ideal candidates. Who are the top performers in that role at your company? In order to gain a competitive advantage in today’s talent market you need to look for additional avenues to source candidates. Social media has proven to be a successful source for recruiting top talent, particularly passive candidates. Todd points out that LinkedIn may be regarded as the destination for professional networking, but urges talent professionals to pay attention to the largest social network in terms of most active monthly users—Facebook. In fact, Facebook is one of most frequented sites among candidates to research a company beyond their website making it an important tool to add into your sourcing strategy. PeoplefindThor is a platform used to search people specifically on Facebook based on their name, education, employer and more. Once he finds a list of candidates, he then uses ZAPinfo—a chrome extension that extracts contact information from websites, including social media, to instantly capture and organize the data into a spreadsheet. 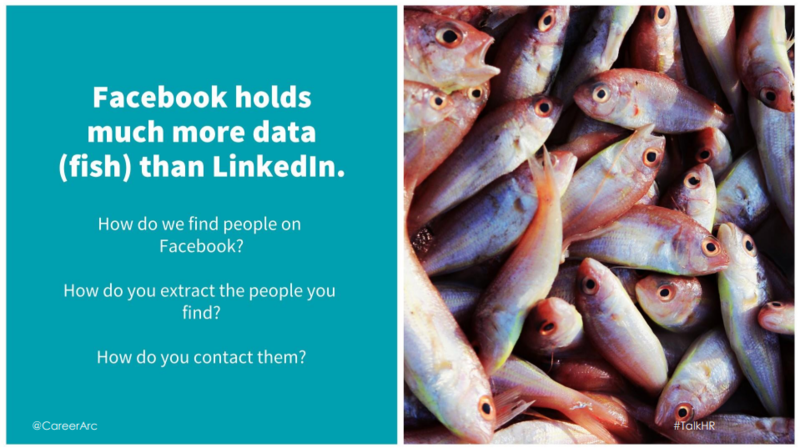 While you’re waiting for part 2 of Sourcing Secrets 201: Powerful Techniques for Targeting Talent, watch Facebook Sourcing Secrets: How To Find & Engage with Talent on Facebook on demand now. Learn candidate sourcing best practices that will help you gather the right information in order to target the right hire.